Discussion in 'Vendors' started by Ame, Mar 20, 2019. Everybody! We are going to celebrate our 5th Anniversay. From March 20th to April 20th, 2019! We will update the promotion! From March 20th - 22nd UTC-6 we offer 6% off discount to all the atomizers! For all aotomizers in Efun.top! Code not available for shipping fee and other category products. Thank you for our support to efun.top! Hope you enjoy your vaping time with efun.top! Hello everyone! Efun.top 5th Anniversary Carival 6% off for all mods! Include clearance products! Share with you these products with best price! Buy now at efun.top! Lost Vape Drone BF 250C DNA Squonk Box Mod is the upgraded version of the first edition of Drone BF. Powered by dual 18650 batteries, with 200W maximum output. Adopts DNA GO Chipset with many functions including reply and boost. Reply is intended to capture the flavor and satisfaction of the perfect puff. And the Boost functionality is not used to increase the temperature at the start of a puff. With 8ml squonk bottle, big fire button and it can be used as a power bank for other USB supportive devices. 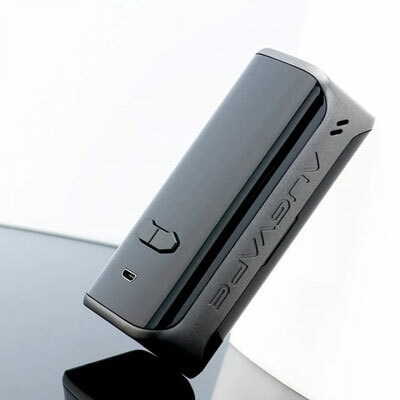 The Augvape VX200 TC Box Mod is a well-constructed box mod, integrating a dual high-amp 18650 batteries (Not included), a side mounted firing bar, and an extensive temperature control suite. Made of high-quality ABS and PC plastic, the straight line produce an elegant appearance. The chipset within opens up an extensive temperature control suite reaching ohms as low as 0.05 or as high as 3.0 while allowing for power mode (normal, max, minimum taste setting options), power curve mode, temperature control with all standard heating elements (nickel, titanium, stainless steel), temperature control curve mode. What's more, 1.3 Inch colorful screen mod, the bigger screen offers you more clearly detail. Most colors in stock now! Buy on Efun.top and get it shipped in 24 working hours! N1 Pro 240W Mod support dual or triple 18650 batteries, features the replaceable back cover for two or three cells. The high power output of 200W or 240W is available for your preference. Powerful and intelligent, the equipped variable temperature control function and multiple output modes will make your device much attractive and popular. Besides, it comes with a press-and-twist design to open top cap easily. Efun.top Anniversary Carnival Keep going! "Efun.top Anniversary Carnival Keep going! Steam Crave Titan PWM MOD + Plus RDTA The original price is $69.99 now only $65.79 save $4.2 Code Efun5th! Steam Crave Titan PWM Kit The original price is $89.99 now only $84.59 save $5.4 Code Efun6th! Geekvape Aegis Mini Kit The original price is $35.99 now only $33.83 Code Efun7th! IJOY Mystique 162W Kit The original price is $23.99 now only $22.55 Code Efun8th! Rincoe Manto X Mesh 228W Kit The original price is $35.99 now only $33.83 Code Efun7th! 6% off for all Squonk Device in Efun.top! Arctic Dolphin Anita 100w Squonk BF Mod The original price is $32.29 now only $30.35 code Efun5th! Hellvape Aequitas 24 BF RDA The original price is $8.99 now only $8.45 code Efun5th! Vapefly Galaxies MTL Squonk RDTA The original price is $16.99 now only $15.97 code Efun5th! Lost Vape Drone BF DNA 250C Squonk Mod The original price is $116.99 now only $109.97 code Efun5th! Ulton Hellfire Cobra Style Squonk Mechanical Box Mod The original price is $44.59 now only $41.91 code Efun5th! Vapefly Holic MTL BF RDA 22.2mm The original price is $14.99 now only $14.09 code Efun5th!